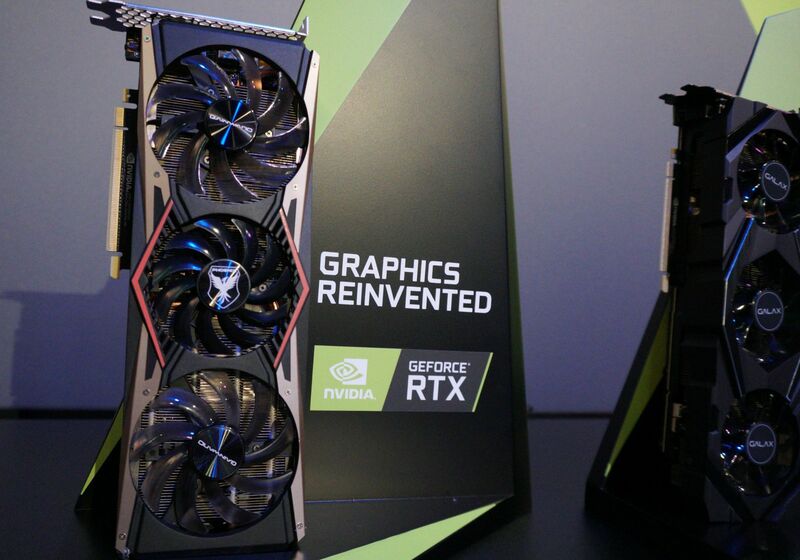 Nvidia's GeForce RTX 2070, RTX 2080, and RTX 2080 Ti have been unveiled, and they're everywhere you turn at Gamescom 2018. Here's a look at the ones we've seen so far. 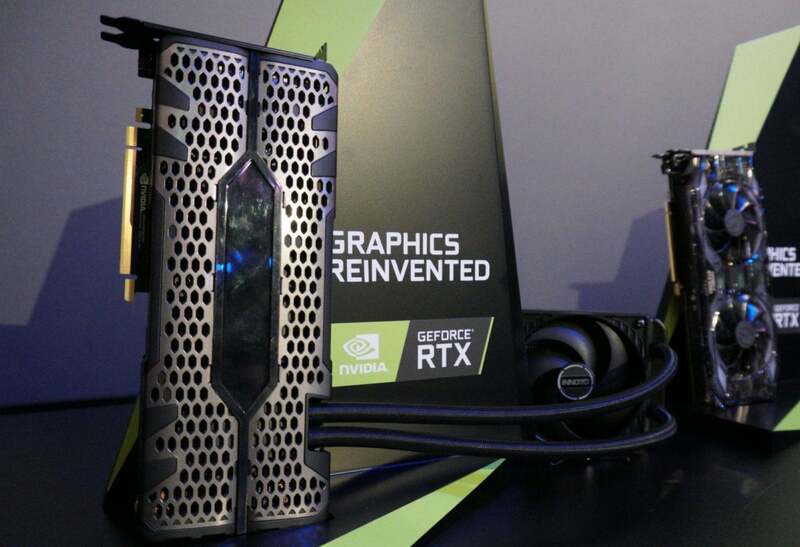 Nvidia unwrapped its radical new GeForce RTX 20-series at Gamescom this week, and the boundary-pushing graphics cards are everywhere you look in Cologne. 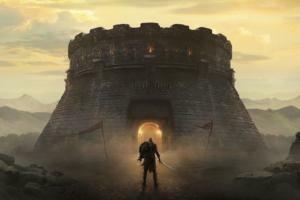 These are the first GPUs built for the ray-traced future of games, though they'll be up to 2x faster than their predecessors in traditional titles too. Both Nvidia and its board partners have trotted out new designs for the new breed. 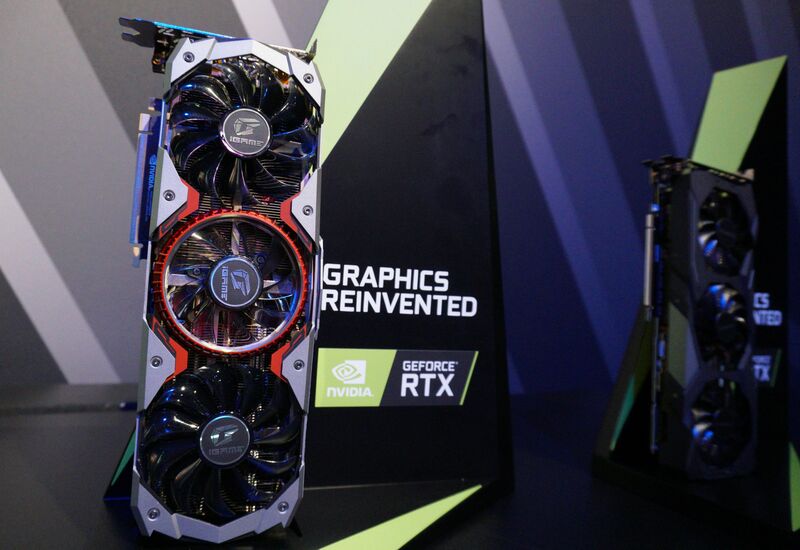 Details are still scarce about most custom RTX graphics cards, but most boast impressive coolers and fans galore. 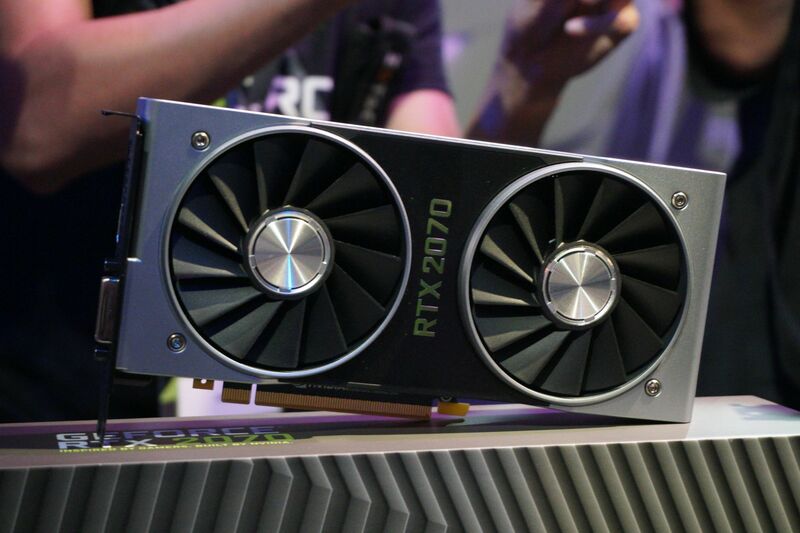 Here's a look at at every GeForce RTX 2080 and RTX 2080 Ti we witnessed in the flesh at Gamescom 2018. 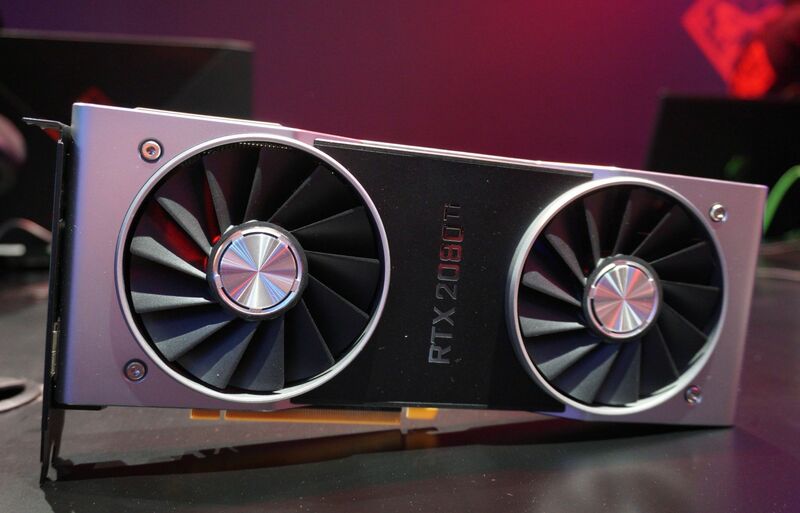 Many of these aren't on sale yet; if you're looking for hardware you can buy right now, check out our list of every custom GeForce RTX 2080 and RTX 2080 Ti graphics card you can preorder. Actually, let's start with the baby of the new GeForce family, the $599 RTX 2070 Founders Edition. Nvidia announced the card and its specs during the RTX reveal event, but you can't actually buy it yet, from Nvidia or anybody else. Nevertheless, Nvidia had it on display for media to poke and fondle. It's so small! The RTX 2070 still includes Nvidia's revamped dual-fan Founders Edition cooling solution, though. 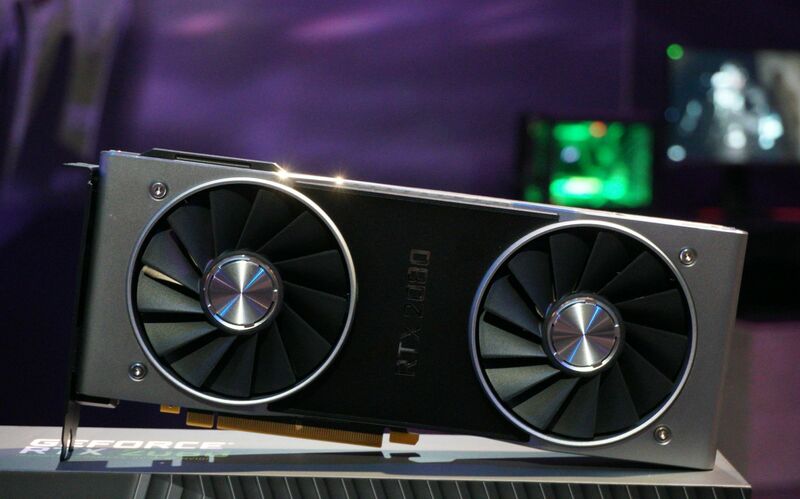 By comparison, Nvidia's $1,199 GeForce RTX 2080 Ti Founders Edition looks positively stretched-out, but it's actually one of the few RTX 2080 Ti designs we've seen that's a standard-sized graphics card. 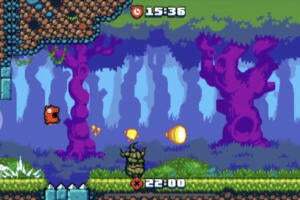 Most are utterly massive, as you'll soon see. 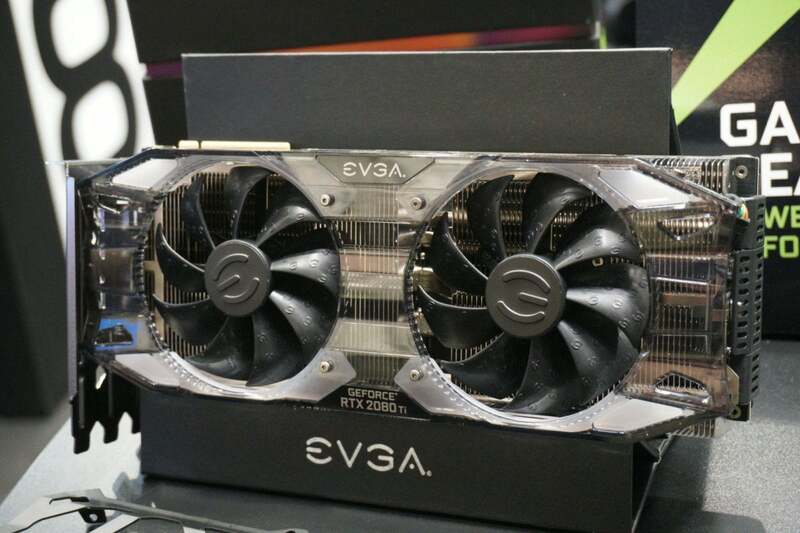 EVGA overhauled its cooler design yet again this generation, and at first blush, the $1,250 GeForce RTX 2080 Ti XC Ultra Gaming looks standard-sized, too. But looks can be deceiving! This is actually an ultra-thick, three-slot-deep card. A nice touch: You can change the brackets around the fan to ones of other colors. Sadly, none of Nvidia's board partners have published clock speeds for their custom cards. Currently, only Nvidia's own overclocked Founders Edition GPUs list clock speeds. 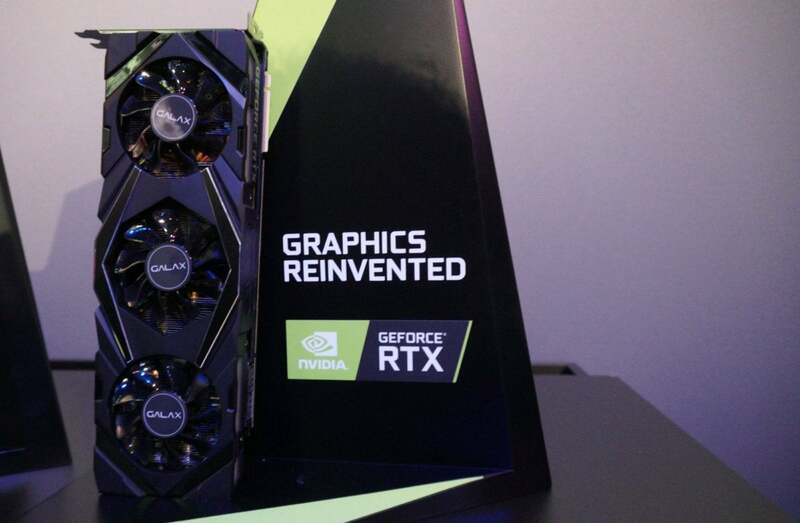 Here's a Galax GeForce RTX 2080 Ti shown by Nvidia at a media event. Again, specs weren't disclosed, and the lighting and photography situation was poor, but this model packs a beefy three-fan cooler on a thick heat sink. 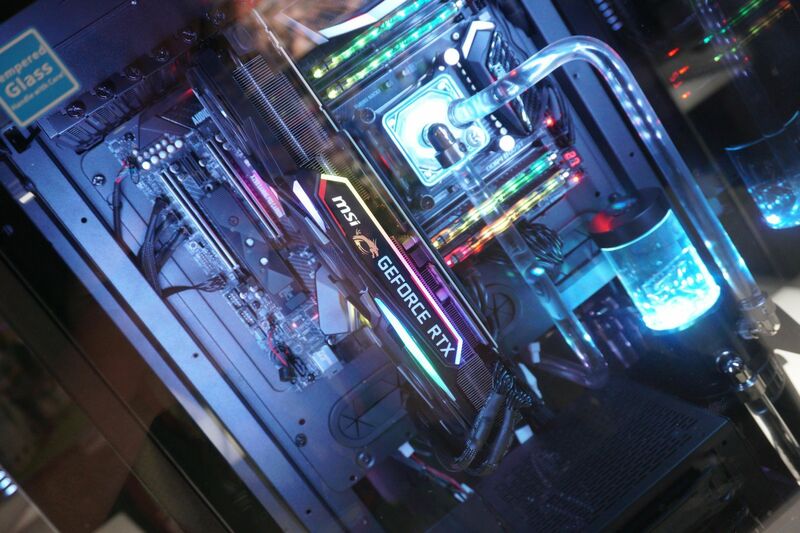 Many custom GeForce RTX 2080 Ti models cram in three fans, including this Gainward Phoenix. With Nvidia's own Founders Edition cards upgrading to a dual-fan solution, rather than the usual blower-style single fan, I'm curious to see whether the top-end RTX GPU runs hot. 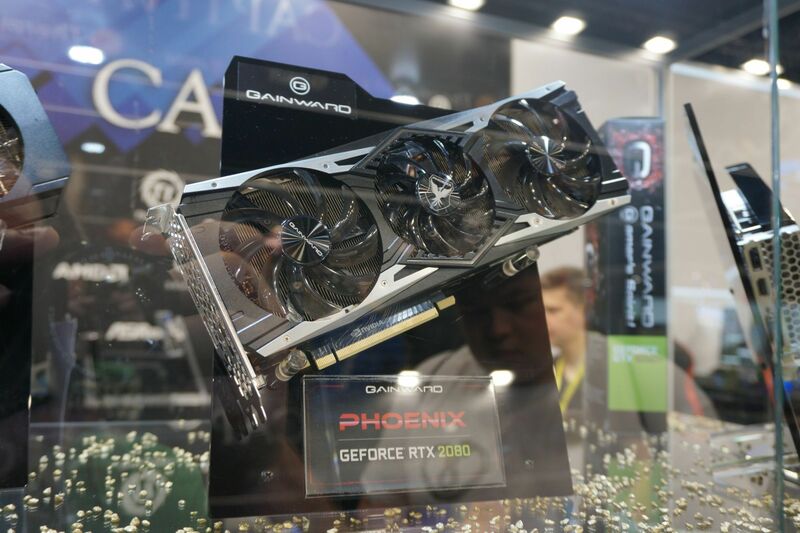 Gainward also offers a RTX 2080 version with its Phoenix design. 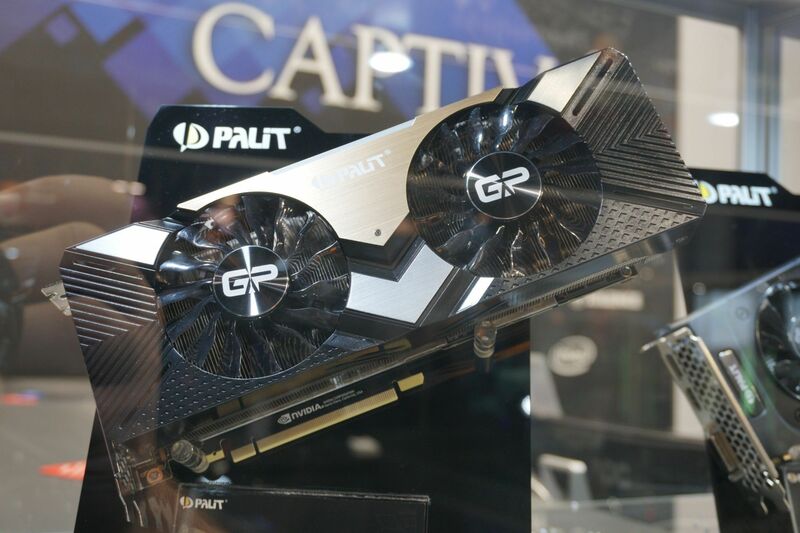 Omni-brand Colorful is dipping its toes into the ray tracing revolution with the iGame GeForce RTX 2080 Ti Advanced OC, another custom card with a triple-fan design. Despite the "Advanced OC" in its name, note once again that no partners revealed clock speeds for their cards yet, including this one. It's got RGB lights over the shroud and a vacuum copper plate assisting with cooling under the shroud. 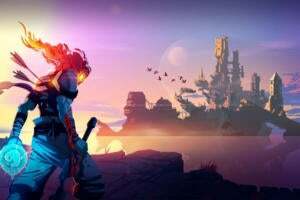 Microsoft devoted a massive section of its Gamescom booth to Windows gaming PCs. 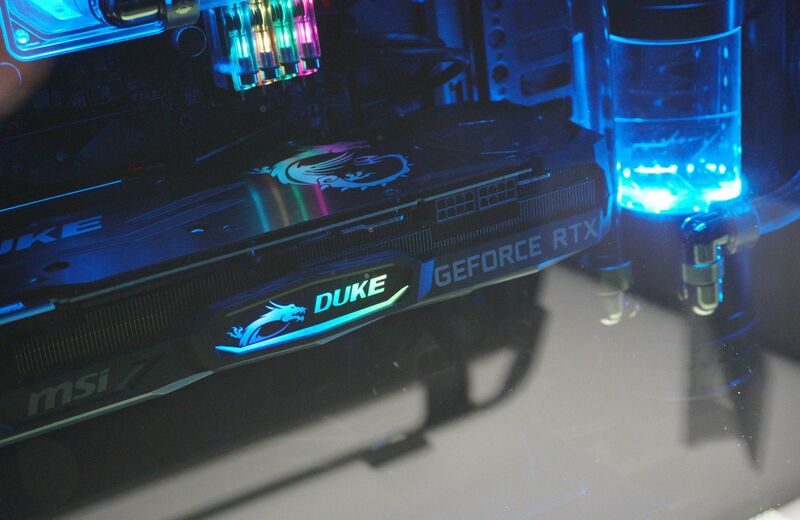 There, we found several RTX 2080 Ti graphics cards, including this extremely long, triple-fan MSI Duke, glittering with RGB LEDs. It's available on Amazon. The $1,200 MSI RTX 2080 Ti Gaming X Trio packs even more RGBs into its shroud, and needs an extra 6-pin power connector in addition to the pair of 8-pin connectors required for all RTX 2080 Ti cards, to give overclockers more power to play with. 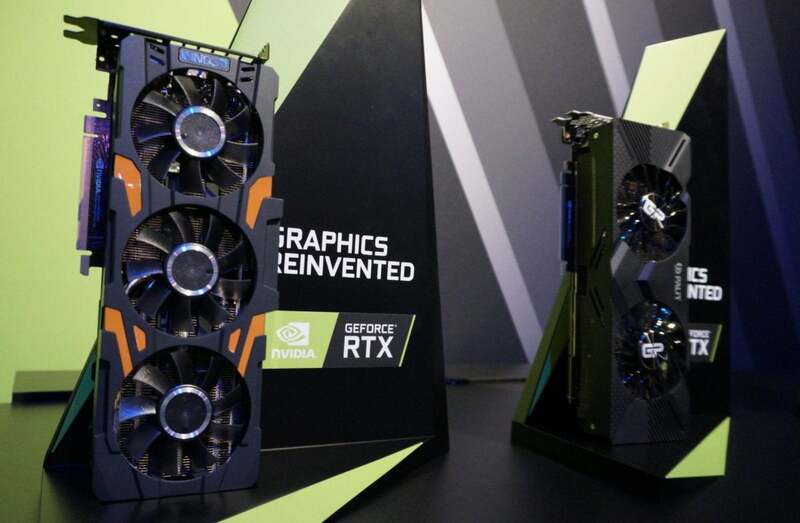 Inno3D unveiled a flood of new GeForce RTX 2080 and RTX 2080 Ti cards after Nvidia's announcement, and we found two on display at Gamescom. 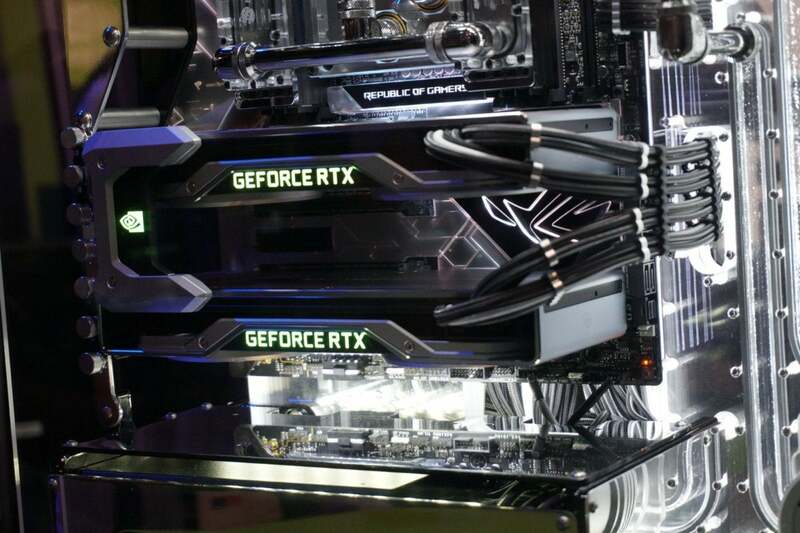 First up, another triple-fan model dubbed the Inno3D GeForce RTX 2080 Ti Gaming OC X3 (whew! 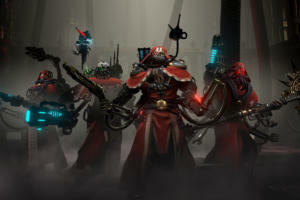 ), which will presumably also come overclocked when Inno3D is able to talk specs. 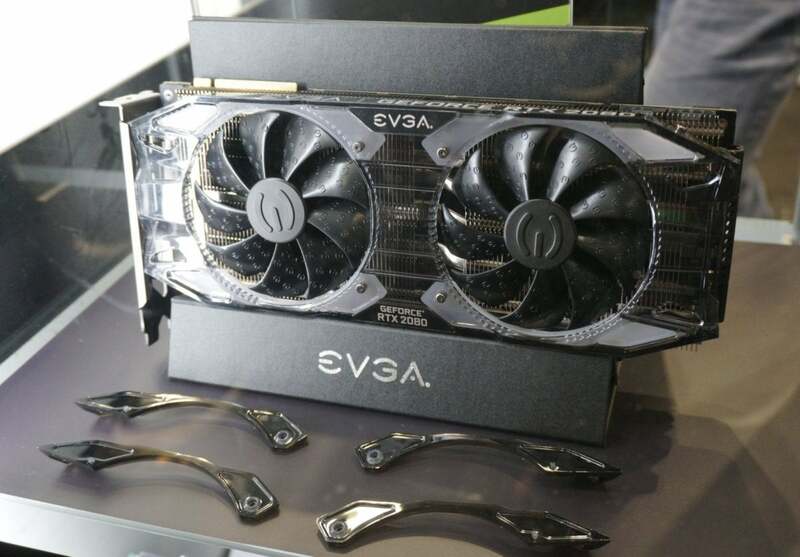 Hey hey, check this out: Our first glimpse of a GeForce RTX 2080 Ti with baked-in liquid-cooling! The Inno3D GeForce RTX 2080 Ti iChill Black Edition (again, whew) packs a 240mm radiator with a pair of 120mm fans, which Inno3D claims keeps the card running at a cool 62 degrees Celsius under load. It also packs a TFT display that shows you the card’s temperature and other vitals. Fingers crossed it’s not that black bar in the center of the shroud though—if it is, it’d be impossible to see in a case unless you mounted the graphics card vertically. The Palit GeForce RTX 2080 Ti Gaming Pro features a standard dual-slot, dual-fan graphics card design, making it a rarity among the first wave of Nvidia RTX hardware. Not so rare: It also includes RGB LEDs. 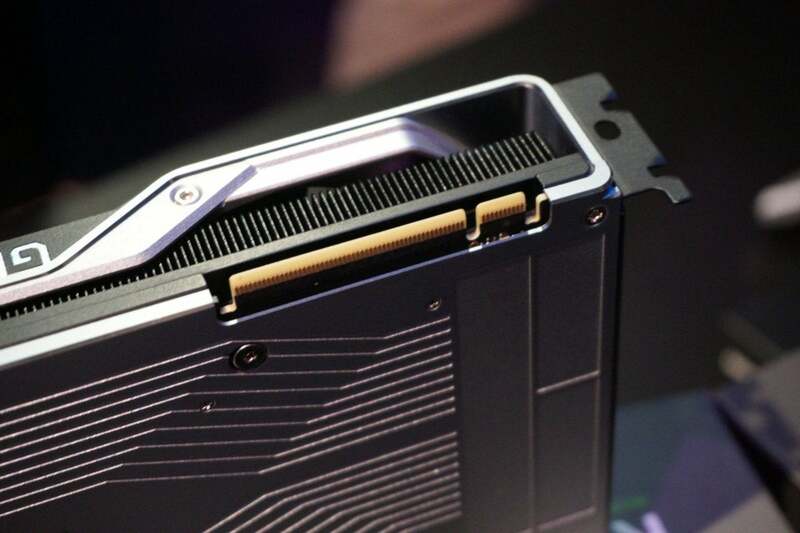 ...specifically, this is the ultra-fast new NVLink connector replacing traditional SLI in the new generation of Nvidia's graphics cards. In a real system, the NVLink Bridge looks very similar to the High-Bandwidth SLI Bridge that Nvidia and its partners have offered for a few years now. 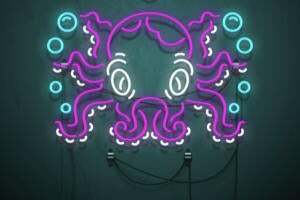 Want to know more? 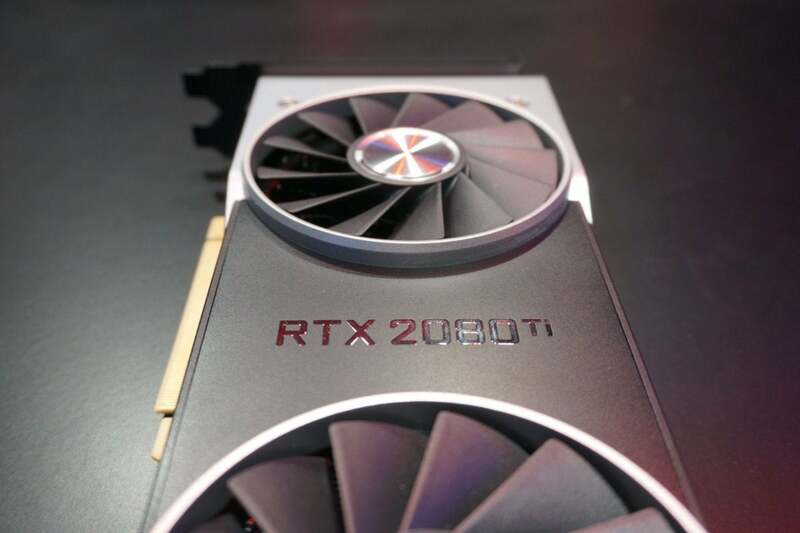 Check out our comprehensive analysis of the GeForce RTX 20-series reveal for everything we know about the new breed of GPUs, and our roundup of every custom GeForce RTX 2080 and RTX 2080 Ti you can preorder right now.